I had the opportunity to learn from a very special person this week. His name is Richard Leider, and his purpose in life is to promote the value of having a purpose. He spoke of an amazing opportunity. He was being invited to live with the Hadza tribe of central Africa for a number of days. They are the only remaining pure hunter/gatherer tribe in the world. They don’t take in outsiders very often, and the rules were that he could bring a guide, an interpreter and nothing else. No provisions, not even a water bottle. They themselves have minimal possessions, consisting of a knife, a bow and arrow, a fire-making kit and a minimal amount of clothing. Richard answered: “the day I was born and the day I will die”. Note that Richard is a highly educated man, and he studies adult development for a living. He is the type of person that I would trust to know the answer to this question. But based on body language and other non-verbal communication, the elder seemed to think Richard had gotten it wrong. His response was that Richard had got half the answer right. The day he was born was one of them. The other, according to the elder, was the day Richard knew why he was born. The day he figured out what he was meant to do in his world – his purpose. We may interpret that as a highly philosophical, esoteric or spiritual response. It may or may not resonate with us. If it isn’t resonant, have a look at the Blue Zone Project. The initial research in this project identified five places in the world where life expectancy was longer than normal. They then studied these places in-depth and one of the things they found they had in common was that the population of these communities had a sense of community and purpose in their lives. They knew what value they added to their world much more strongly than those from other communities. I think if we look inside ourselves, we all have some degree of wonder about our purpose. At some level, we want to know that we are important to the world, that we have something to give, something that we want to pursue with a passion, growing while we do. As Richard Leider says “mattering matters”. So how do we find our purpose? Do we go on some pilgrimage to find our guru? Do we seek to learn more so that it we may piece it together? Do we meditate until it magically appears to us? I think it is simpler than that. The answer is more likely that we already have it within us. It is a matter of looking inside to discover what we have always had. Our Gifts – chances are these aren’t immediately obvious to us. They can be so innate to us that we don’t remember learning them, and therefore we tend not to value them. As a result we often need help from others to bring them into the light. One way to do this is to keep a list of “I AM …” statements. Often we think about “I AM NOT …” (important/good at/strong enough/valued/etc.) Look past that and ask yourself what you really are. I AM a teacher/a writer/curious/creative/intelligent/robust/analytical/helpful/etc. Collect them all, no matter how small. Play with them, combine them, live with them, and let the big ones rise to the top. Another way is to ask people you trust and respect. Tell them what you are doing and ask them to write down what they think your gifts are. Our Passion – what gets you out of bed in the morning? Especially on those good days where you are raring to go. What are you excited about? What piques your curiosity? What are the things in your life that when you do them, you lose all track of time and yet feel energized when you return to the real world – what gets you “in flow”? One way to start to get a sense of this is to keep a log of your days. Write down for yourself all of the things that got you into flow. Write down all of the things you got curious about and all of the things that got you excited and animated throughout the day. Keep a collection for a week or two and then review them and see what starts to emerge. Our Values – values are our bedrock … the place we like to stand. As we explore our gifts and our passions, are values are at work helping us sort through them bringing the ones that resonate most closely to the forefront for us. If we aren’t fully aware of this, what can happen is that we may find ourselves with an internal dissonance. 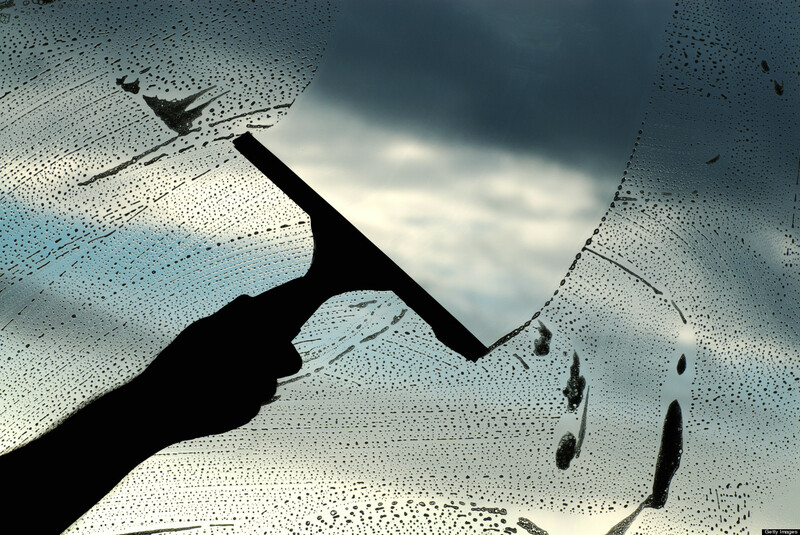 We may be engaged in our work or other activities, but we won’t feel that we are working authentically or maybe that we aren’t really adding any real value. There are those values we have been taught. We can recognize those when we use the word “should” as in “I should work hard” or “I should be reliable”. Our authentic values are those we were born with. They tend to appear in the high points of our life and be missing in the low points. One way to work through this is to create a timeline of your adult life with peaks and valleys. At each high point along the way, note the value or values that were strongest for you. For the low points, see if you can spot what values weren’t being honored. Looking for patterns in these points may help you identify some core values in your life. Our purpose is really the sum of these three things. If we know our unique capabilities and what gets us up in the morning, and let ourselves be guided by our values, we will likely end up in a place that feels great to us … a place where we know we were always meant to be. As a leader, we can use a version of this to help our team members make their greatest contribution through ensuring they are engaged in work that is meaningful to them. This model lives on the whiteboard of our CEO so I am shamelessly stealing it! If we look for where the unique capabilities of a team member, the passions of that same person, and the business need of the organization intersect and make sure our people are working in those places, magic will surely happen! Perfect timing for this post for me I will sit on this today “I Am…” As you enter into retirement this is a huge question mark…what am I, what is next. When a person enters into the land of retirement this question hits a person hard especially when you enter that world young…so my question of the day will be…”I Am ? Thanks Heather! I’ll use you as a sounding board! My “1st retirement” starts June 1! I think the hardest part of the three is determining our gifts, as sometimes those may not be of a type that are popularized. If you have a gift of a beautiful singing voice or sporting prowess then those are gifts where you would get positive feed-back from a very early age. 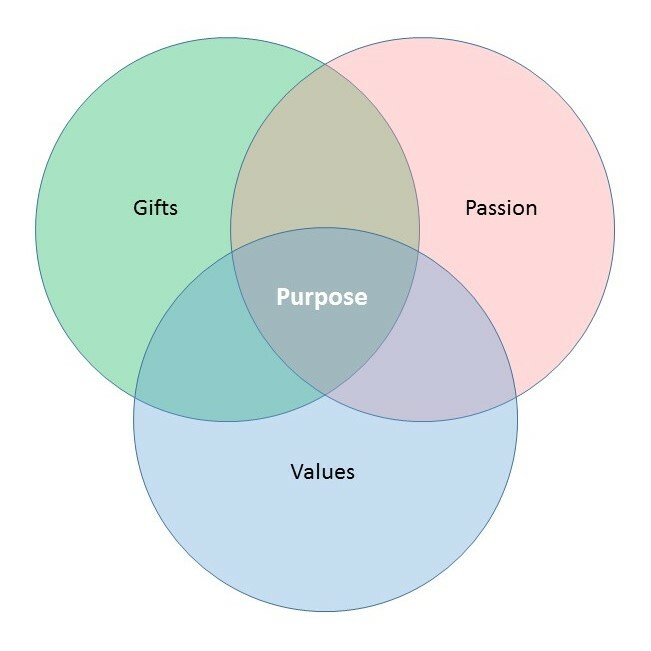 But if your gift is being a good listener, or keeping things in a neat and orderly fashion, or being able to critically analyze complex data … then it is harder to recognize those things as ‘gifts’ and even more difficult to tie that in with passion aligned to your values in order to create a purpose. Nevertheless, that can and does happen. The good listener may find purpose as a counselor, the organized person may become an excellent administer of work schedules and filing systems, and the person with an eye for complex analysis may find purpose as a researcher in a field aligned to their values. The art is in recognizing your own gifts that may not receive accolades; and in some instances may even be things that drive other people crazy. I think you are right! And when they are innate gifts we have lived with them so long that they may even be hiding in plain sight right in front of us! Another great post Ian! Differentiating between the ‘shoulds’ and our innate values is brilliant – I want to think about that some more. Also the idea that our values are present in our high times, but not in our low times is intriguing to me. Does that mean we don’t hold to our values because we are down and out, or that we are having low times because for whatever reason, we cannot or are not living our values? Great post! We agree with the tribe leader, a person should consider a day important when he/she has found the purpose of their life. In Hinduism, it is believed that every human is born with a purpose. However, that purpose is not revealed, but it has to be realised. Once the purpose is over, he dies or changes bodies. Well, don’t want to steer the topic to a spiritual context, but the truth is a person who realises the aim or purpose of his/her life has accomplished a major feat. Thank you for adding this spiritual context! Great story and valuable post Ian! Identifying our gifts can be tough to do by ourselves … Yet having someone to see us in this way and share what they see is really helpful! For me it was my mentor coach, for others it may be a teacher or grandparent. Thanks for your thoughts Val!